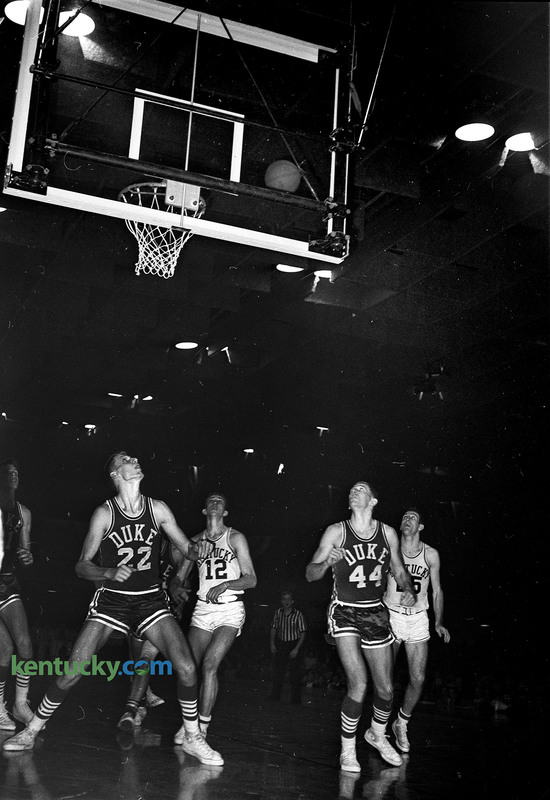 The University of Kentucky’s Terry Mobley, shown at far right, watches his game-winning shot head towards the basket Dec. 31, 1963 during the final seconds of the Sugar Bowl Basketball Tournament. Mobley, a 6-3 junior from Harrodsburg, hit the 15-footer with four seconds remaining to lift No. 2 UK past No. 8 Duke 81-79 in New Orleans. Herald-Leader columnist Mark Story declared it one of the 25 greatest clutch shots in UK history. 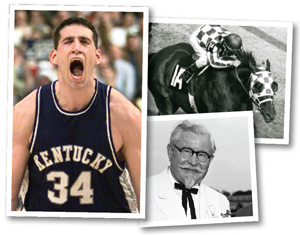 Mobley, who played for coach Adolph Rupp and and Wildcats from 1962-1965, went on to build the university’s fledgling fundraising efforts into a multimillion-dollar philanthropy system. He died Monday, Feb. 12 at age 74. Herald-Leader file photo. 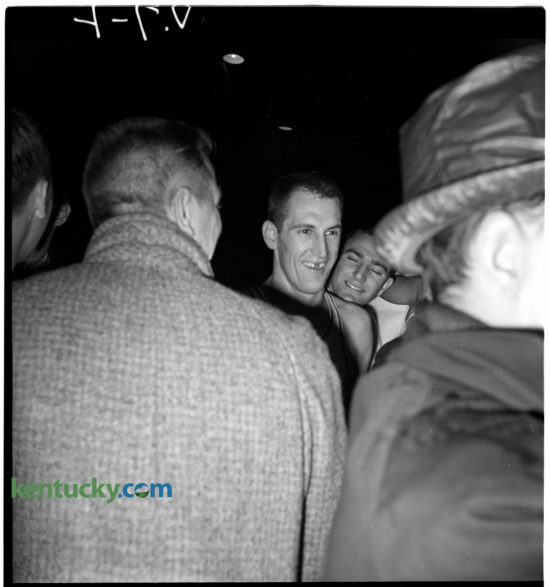 The University of Kentucky’s Terry Mobley was all smiles after sinking a 15-foot game-winning shot Dec. 31, 1963 against Duke in the finals of the Sugar Bowl Basketball Tournament in New Orleans. Herald-Leader file photo.